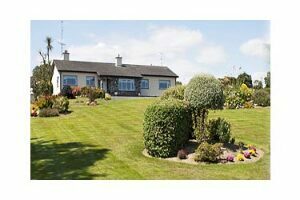 Situated 3km from Gorey town, This modern house is a four star B&B with award winning garden. The Dining Room is located to the front of the house overlooking the garden and fountain making it the perfect location to relax and pick a sumptuous breakfast from our extensive menu. The rooms are en-suite with TV, tea/coffee facilities and a magnificent views. Carraig View offers free Wifi and safe parking. 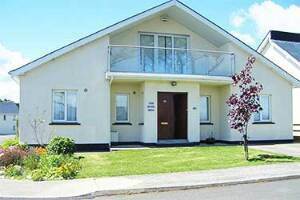 Carraig View is 2 Km from Amber Springs Hotel and on the same road, Ashdown Park Hotel and Marlfield House Hotel is 3 Km. Complimentary transport is available to guests attending functions in these hotels. 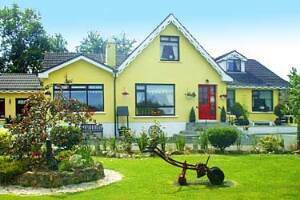 With many places to visit in Wexford and Wicklow we will make your stay at our Bed and Breakfast as comfortable and relaxing as possible. Many guests come back year after year to stay with us and enjoy our warm welcome and hospitality.